Leader of the Opposition, Hon. Ralph O’Neal announced via a radio broadcast on ZBVI radio on 27 May that he will not be contesting the next general elections that is constitutionally due in November 2015. The elder statesman also announced that he is retiring from the post of Chairman of the Virgin Islands Party (VIP) to allow the next leader of the Party to be able to prepare for the 2015 general elections. Mr. O’Neal also suggested the eventuality of a snap election. The veteran legislator did not endorse a successor to the VIP chairmanship, but he called for the Party to remain united and strong. Internal elections of the Virgin Islands Party (VIP) were held in Road Town on Wednesday evening, 28 May. The two top contenders for the position of VIP Chairman were Hon. Julian Fraser and Hon. Andrew A. Fahie. Fraser won comfortably with 44 votes (Fahie 30). The VIP elections produced the appointees for the positions of VIP Chairman, President, Vice President, Secretary, Assistant Secretary, Treasurer, Assistant Treasurer, Public Relations Officer and Assistant Public Relations Officer. The results for the two top positions are: Hon. Julian Fraser is the new VIP Chairman; Carvin Malone Is New President. Hon. 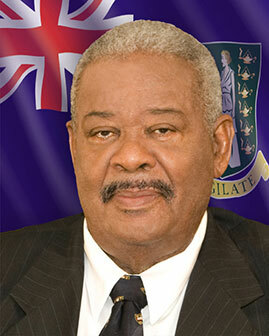 O’Neal who celebrated his 80th birthday on 13 December 2013 has been a legislator for 39 years. The announcement of his retirement from politics was being made after a discussion with his constituents, and the Opposition Leader thanked the people of the Ninth District for re-electing him uninterruptedly since 1975. In passing the baton, Hon. O’Neal said that it is his desire to see the Virgin Islands Party continue form strength to strength and to be the Party for the people; the seasoned politician used that opportunity to issue an advice to the Party: “I will like to remind the party that while contemplating on the end of the present term there is a possibility of the honourable Premier calling a snap election hoping that the Party is not prepared and this is where the Party must show that it is strong and prepared for any battle. If you look back it will be seen that the Virgin Islands Party has done things for all the people and I see no reason why this cannot continue,” he said noting that it will take long to list all that the Party has accomplished. “The Party has not been sleeping and kept the people in front of them at all time,” Hon. O’Neal declared as he thanked the public for their support while he was in office. “It has been a privilege to have been given the opportunity to serve,” he said as he thanked the public service for their cooperation and willingness at all times to ensure government was in a good position. He also thanked the Royal Virgin Islands Police Force, the churches, clubs, and media. In response to the announcement of Hon. O’Neal’s retirement, Premier Dr. the Hon. D. Orlando Smith issued a statement on behalf of the Government and people of the Territory thanking Hon. O’Neal for his service. “The breadth of his institutional knowledge of the public service is remarkable. I have told Honourable O’Neal a few times before that I look forward to reading his memoir, chronicling his role in, and knowledge of the history and development of these Virgin Islands. On behalf of my Government and the people of these Virgin Islands, I express my gratitude for his commitment to these Virgin Islands. We thank Honourable O’Neal for his unwavering public service commitment and pray that God will continue to bless him during his retirement,” he added.